Over the last year AMS have attended several aviation related exhibitions and Expos. AP&M Europe’s event at Olympia, London was an obvious venue to visit this month. Aviation exhibitions and Expos have provided useful networking opportunities for us during the last 8 months. 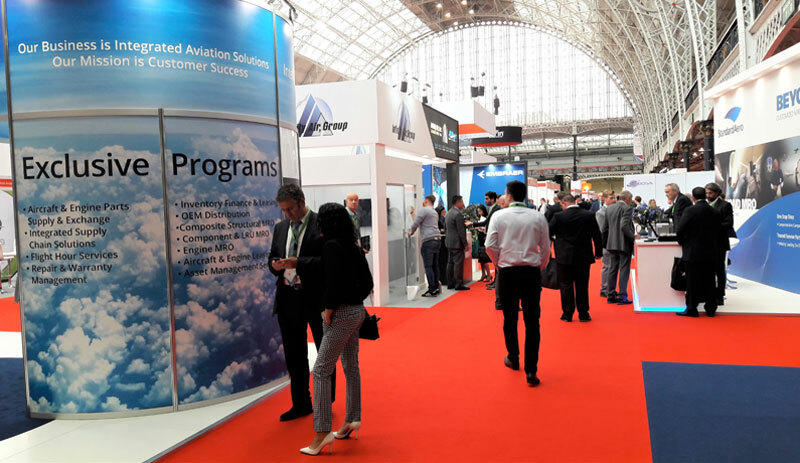 AP&M Europe’s MRO Procurement Expo (hosted at Olympia, London) proved to be a valuable intelligence gathering event too. AMS have visited various aviation related events over the last year as part of our ongoing investigation into awareness of the aircraft recovery industry (and IATA’s Aircraft Recovery Task Force’s activities). Our discussions with exhibitors and delegates at AP&M Europe provided useful feedback on awareness of our industry, and handy intelligence regarding their thoughts on different events/venues across the globe. Need to find out more about aircraft recovery? If you’re involved in aviation procurement or risk assessment regarding operational challenges for airports, you may be interested in finding out more about aircraft recovery by viewing the 10 videos available on our dedicated You Tube Channel. You’ll also find multi-language pages on our website covering Spanish, Russian, Portuguese and French. These provide a useful overview of AMS’s aircraft recovery equipment and aircraft recovery training courses. If you attended AP&M Europe 2018 and didn’t get the opportunity to meet with us, please get in touch by calling us on +44 (0)20 3289 9320, or contact us using the form on our website. Alternatively, arrange to meet us at the next major event on our calendar: Farnborough Airshow 2018.